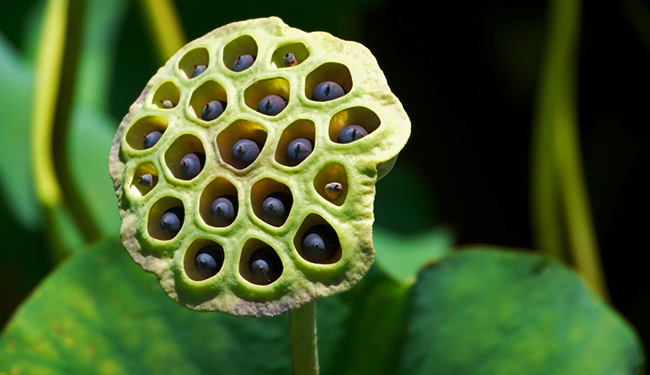 Trypophobia is the fear of clustered holes like those shown in the lotus seed pod above. The lotus seed is the classic example of the sort of holes that frighten trypophobics, but sponges, soap bubbles and even aerated chocolate can be triggers. Trypophobia is not recognized in pyschiatry's Diagnostic and Statistical Manual of Mental Disorders, but it is present in 16 percent of people, according to a new study in Psychological Science, which is the first to address the strange fear. “The stimuli are usually clusters of holes of any variety that are almost always innocuous and seemingly pose no threat,” the authors note. But they induce visceral reactions all the same. The study found that this fear might actually be an evolutionary adaptation, not just a weird human quirk. One of the researchers encountered a trypophobe who said he couldn’t stand to look at photos of the blue-ringed octopus, which is one of the most poisonous animals in the world, and a cartoon lightbulb clicked on over his head. The researchers analyzed images from trypophobia.com and found that many of them have high contrast at midrange spatial frequencies, as do images of poisonous animals like the octopus, as well as the deathstalker scorpion and many poisonous snakes and spiders. “We therefore suggest that trypophobia arises because the inducing stimuli share a core spectral feature with such organisms—a feature that does not reach conscious awareness,” the researchers wrote. Many people may not yet have a name for the uncomfortable feeling they get from looking at images like these. 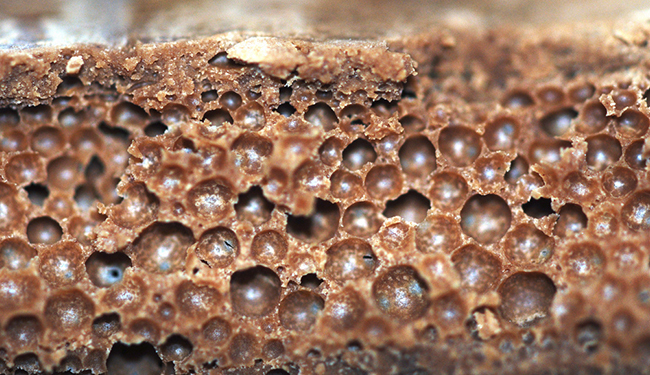 The word “trypophobia” first made tentative forays into the Internet’s consciousness around 2009, according to Google Trends, and didn’t start skyrocketing until 2012. Monica says she “never connected the dots” until she read an article about the fear. “Even just seeing the words clustered holes freaks me out,” she adds. “This survival account is based on the notion that humans have been selected, via Darwinian principles, for their ability to notice poisonous organisms,” the study reads, and while throwing up in your mouth or stabbing your eyes out may not be particularly effective strategies when faced with a poisonous animal, these trypophobes may be on to something all the same.